If you could get a demon's soul pretty much for free, you totally would, wouldn't you? And how about Demon's Souls for free, while you're at it? The pleasantly punishing role playing game that's famous for being about as forgiving as a swift kick to the face is slated to be free for PlayStation Plus members for the month of April. Several other games will also but free, but... Demon's Souls! The co-op features are a bit limited, but the game itself is extraordinarily rewarding if you manage to survive the steep learning curve. 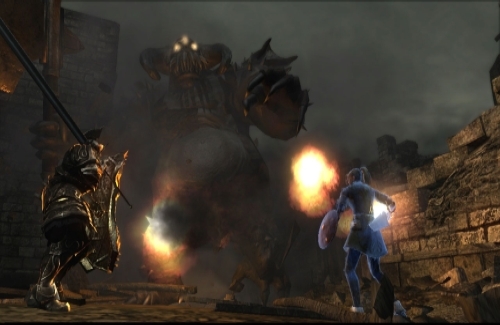 One or two members of the Co-Optimus staff might be mildly addicted to Demon's Souls' sequel Dark Souls, so if you're looking for a ringing endorsement, consider that the bells of Notre Dame. Page created in 0.2580 seconds.